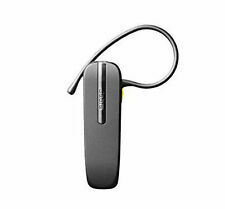 This user-friendly Jabra Style Bluetooth Headset 2474402 is a great hands-free solution so you can conveniently have a clear phone conversation while you're on the go. Also, the 2474402 will give you voice prompts to guide you through the pairing process and alert you to the connection and battery status. Trending at AU $94.11eBay determines this price through a machine-learned model of the product's sale prices within the last 90 days. Trending at AU $90.63eBay determines this price through a machine-learned model of the product's sale prices within the last 90 days. 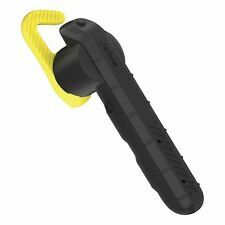 Affordable genuine Jabra Stealth wireless bluetooth earphone new in box. Item sent include tracking number. And when you’re done using it, simply fold the flip-boom arm and put the headset in your pocket and take it with you. 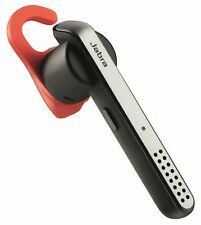 Jabra Motion Bluetooth Headset. 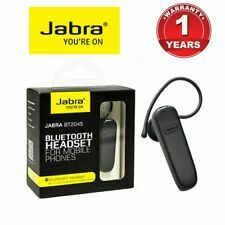 Jabra part number:Motion backed byJabra 1 Year Warranty. Blocks out wind noise HD sound with noise reduction All-day comfort Brand Jabra Model Storm Bluetooth Headset Wireless Technology Bluetooth Connector(s) USB Earpiece Single Earpiece Design Earbud (In Ear) Fit Design Ear-Hook Features Built-In Microphone, Noise Cancellation, HD Voice Colour Black EAN 0 615822 006507 UPC 6 15822 00650 7 MPN Does not apply UPC 6 15822 00650 7 EAN 0 615822 006507 Package includes1 x Jabra Storm Bluetooth Headset Black Headset (Original Box) . Crystal-clear sound Connect 2 devices at the same time Easy to use Brand Jabra Model Talk Bluetooth Headset Wireless Technology Bluetooth Connector(s) USB Earpiece Single Earpiece Design Earbud (In Ear) Fit Design Ear-Hook Features Built-In Microphone, HD Voice Colour Black EAN 0 615822 003254 UPC 6 15822 00325 4 MPN Does not apply UPC 6 15822 00325 4 EAN 0 615822 003254 Package includes1 x Jabra Talk Bluetooth Headset Black Headset (Original Box) . Sport Pace. Premium stereo sound. It has been tested and thus is in good working condition. The pictures are for the illustration of the item.". Specifications are subject to change without notice. While every attempt has been made by RepoGuys in the production of these specifications, possible errors or omissions may still occur. HD sound with noise reduction Superior comfort in a small design Dedicated voice control button UC variant with USB dongle Brand Jabra Model Stealth Bluetooth Headset Wireless Technology Bluetooth Connector(s) USB Earpiece Single Earpiece Design Earbud (In Ear) Fit Design Ear-Hook Features Built-In Microphone, HD Voice Colour Black EAN 0 732130 877619 UPC 7 32130 87761 9 MPN Does not apply UPC 7 32130 87761 9 EAN 0 732130 877619 Package includes1 x Jabra Stealth Bluetooth Headset Black Headset (Original Box) . 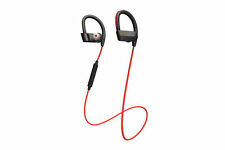 Dust, water and shock resistant Secure fit for any job Supreme call quality in any surroundings Brand Jabra Model Steel Bluetooth Headset Wireless Technology Bluetooth Connector(s) USB Earpiece Single Earpiece Design Earbud (In Ear) Fit Design Ear-Hook Features Built-In Microphone, Water-Resistant Colour Black EAN 0 615822 007733 UPC 6 15822 00773 3 MPN Does not apply UPC 6 15822 00773 3 EAN 0 615822 007733 Package includes1 x Jabra Steel Bluetooth Headset Black Headset (Original Box) . 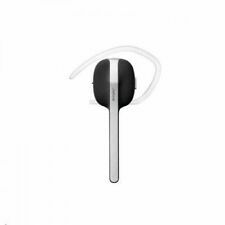 Jabra Boost Bluetooth Headset – White/Silver. 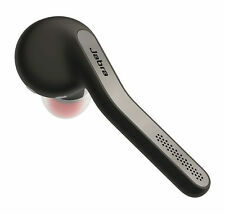 Jabra Mini Bluetooth Headset - Black. 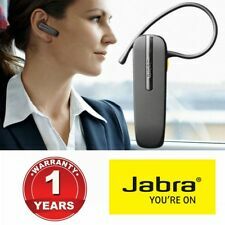 Jabra Eargel. 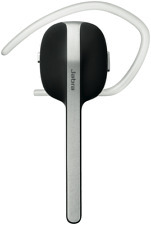 Jabra Earhook. Jabra Mini can automatically extend its battery power with the Power Nap feature. The headset turns itself off after having been disconnected from your device for a full hour. Jabra Talk Every call will come through in HD quality*, giving you crisp, clear sound without disruptions. The Jabra Talk also uses digital signal processing and a noise-filtering mic to make sure the other party hears only your voice. With the Multiuse™ feature, you can easily connect to two devices at the same time. When one of them rings, the Jabra Talk will automatically stream the right call when you answer. If a new call comes through on the other phone, you’ll get an alert and the option to pick it up. 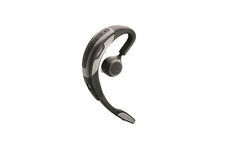 Jabra Talk is designed for new Bluetooth users and comes with an intuitive on/off slider button. The volume automatically adjusts to adapt to your environment. You also get spoken updates when the Jabra Talk is connected or when battery is runnin. 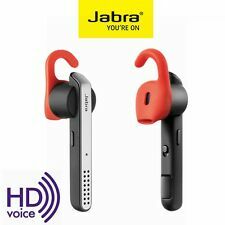 Jabra Motion. Pair effortlessly with your NFC-enabled device by simply tapping the Jabra Motion to it. 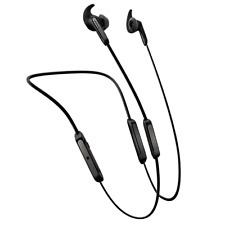 Compatibility: Jabra Motion is compatible with other Bluetooth devices with Bluetooth 4.0 (or lower).